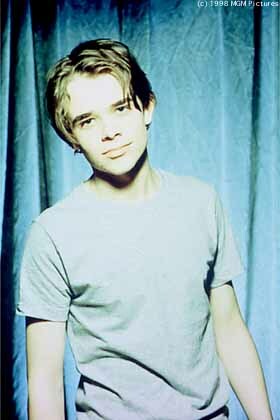 Hi and thanks for checking out my site dedicted to Nick Stahl. I'm up for any comments,questions,and suggestions. Thanks again and I hope to see you come back soon. Nick Stahl was born in Dallas, Texas on December 5, 1979. After his mother, Dona, took him to see a children's play at the age of 4, Nick confidently declared that acting would be his future. Commericals and community plays followed, two television movies were also released in the early 90s. The breakthrough he needed came next when he starred alongside Mel Gibson, who hand-selected Nick for the role, in Man Without a Face, The (1993). Nick played Chuck, the little boy who befriends a stranger that was disfigured in an accident. Unfortunately, his follow up films weren't much success and he slowly disappeared from the acting scene. All that changed in 1998 when he starred in two major films, Disturbing Behavior (1998) and Thin Red Line, The (1998). Both films had a modest success at the box-office.